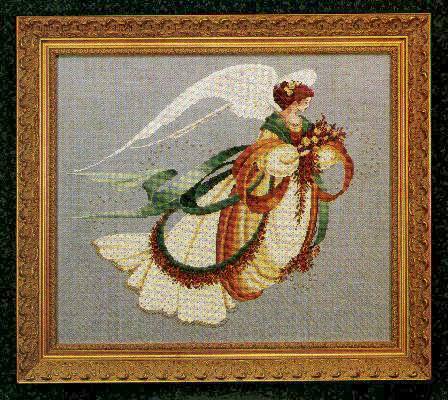 The third angel in the angels of the seasons series is dressed in rich October colors of red and gold, adorned with gold beads. She carries a bouquet of fall leaves and yellow roses. Overdyed Wildflower threads from Caron are used for the autumn leaves. Wildflowers Specialty Threads from Caron Collection.